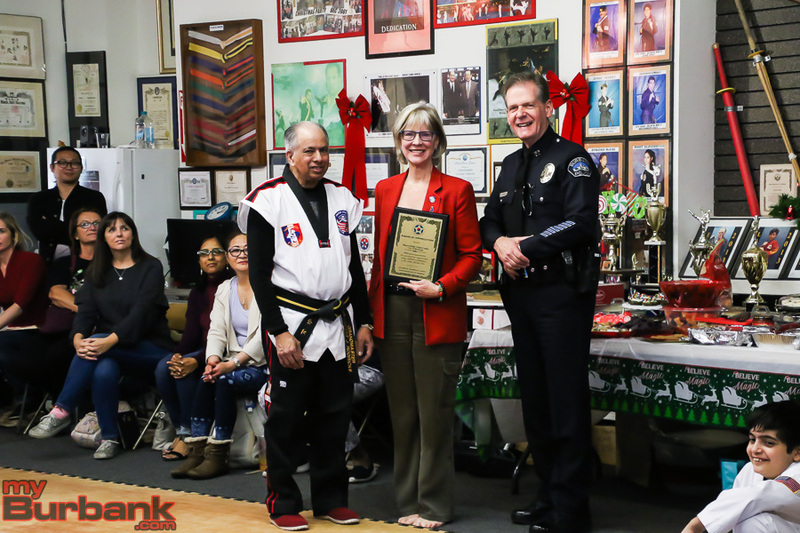 On Saturday, December 15, Mayor Emily Gabel-Luddy honored Grandmaster Vincent J. Rodricks with a certificate of appreciation during a Christmas celebration at Andre’s Martial Arts, located inside the Burbank Town Center. 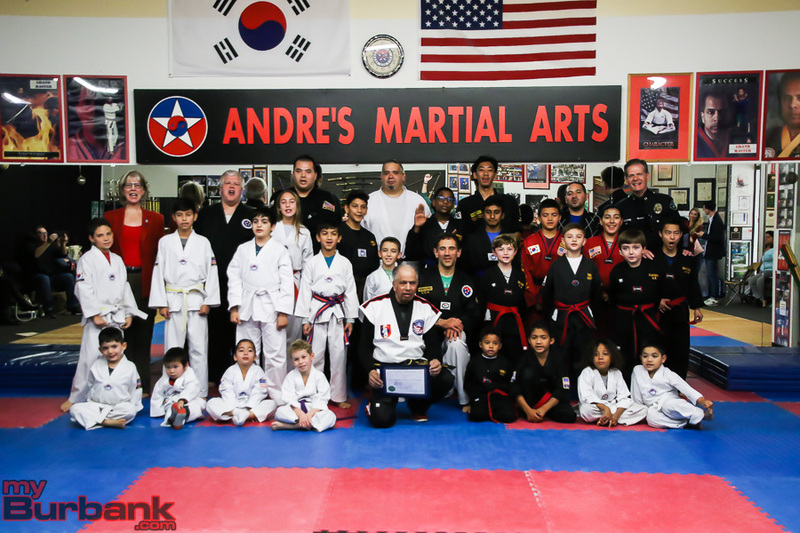 During the Taekwondo studio’s annual Christmas party and belt ceremony, Mayor Gabel-Luddy presented the certificate, praising the masters’ for the positive impact they’ve had on the community. 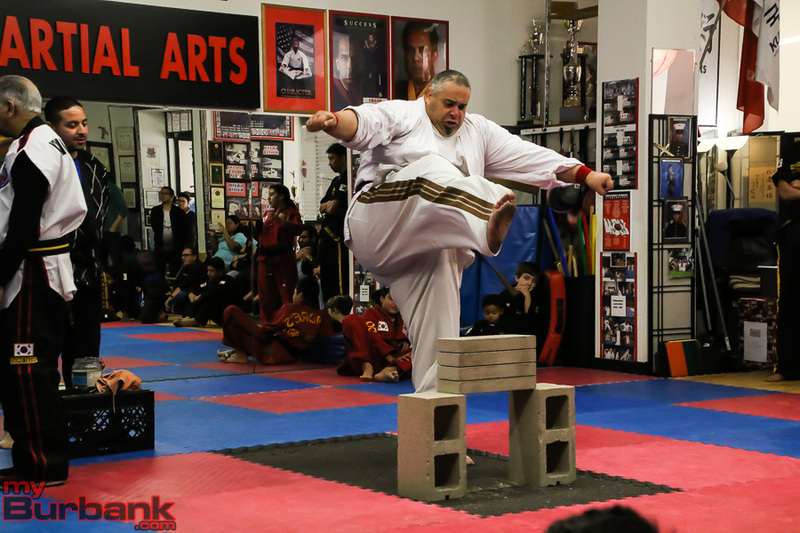 Following demonstrations, students and their parents watched as Grandmaster Rodricks was honored. 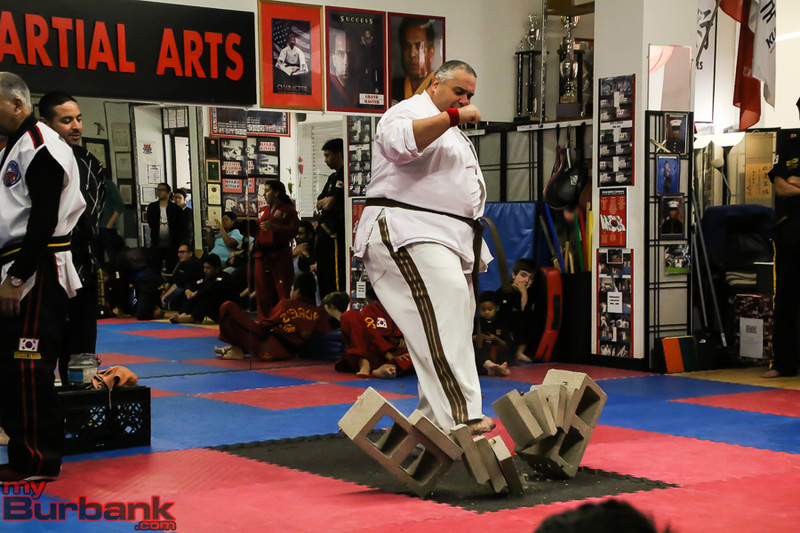 “You are all a real-life example of what happens when you maintain discipline, focus, humility, and practice. I want to congratulate all of you in your next steps,” said Mayor Gabel-Luddy. Burbank Police Department Captain Denis J. Cremins was also in attendance and has returned for several years in a row. “I’ve known Grandmaster Rodrick for 7 years. I’ve seen the way he’s interacted with the kids and the families. 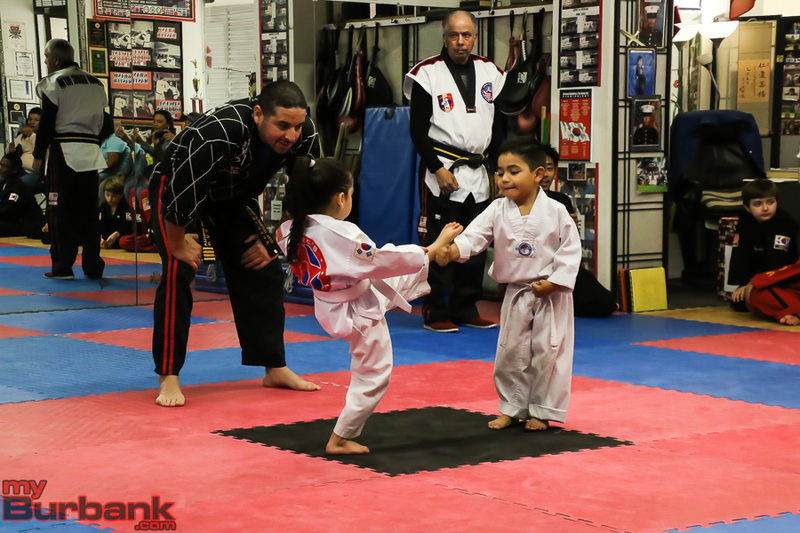 He has a great deal of respect, and it builds a lot of character in the kids. The character building is the most important thing. He’s changed their lives in so many different ways,” said Captain Cremins. 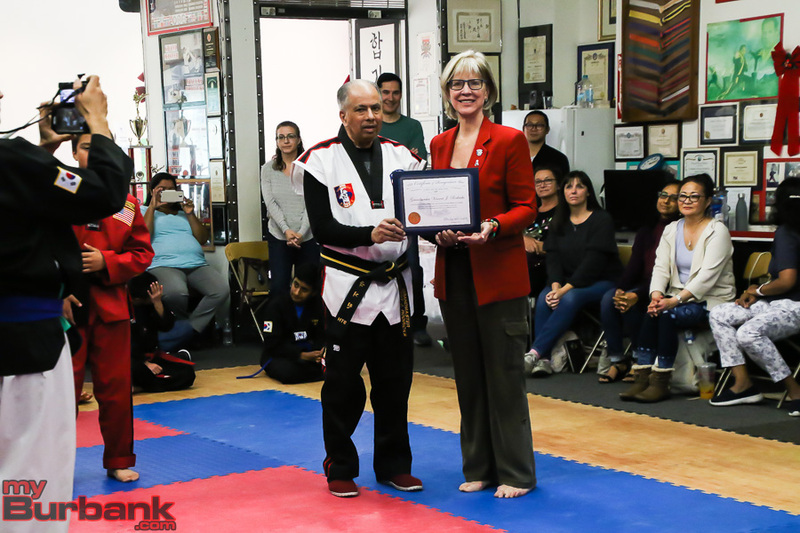 After receiving the certificate, Grandmaster Rodricks presented a plaque, a representation of his appreciation to the Mayor, thanking her for the City’s support. 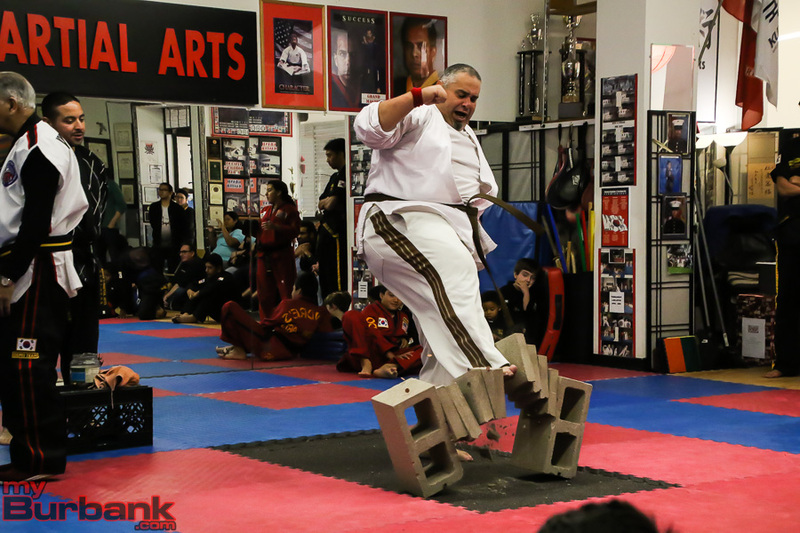 Earlier in the day’s session, students as young as 3-years-old broke wooden boards in half with a single kick, earning higher ranked belts for their hard work. 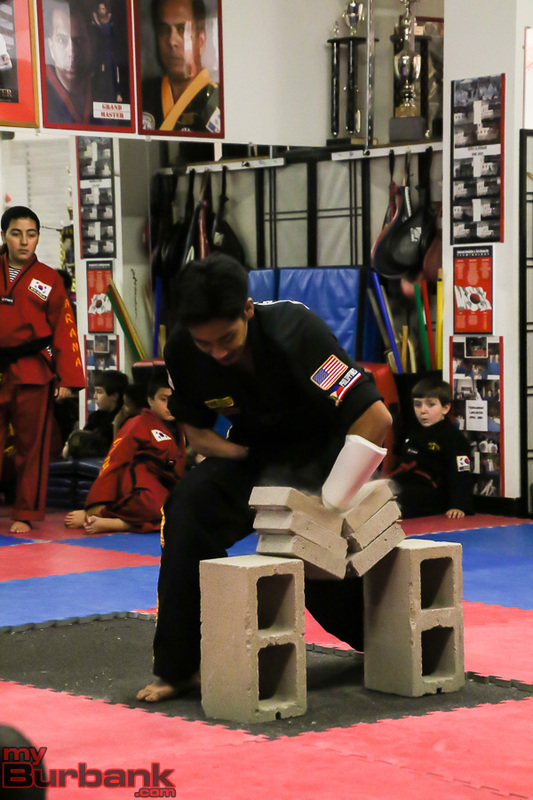 Masters also demonstrated their skills by breaking cinderblocks in half. 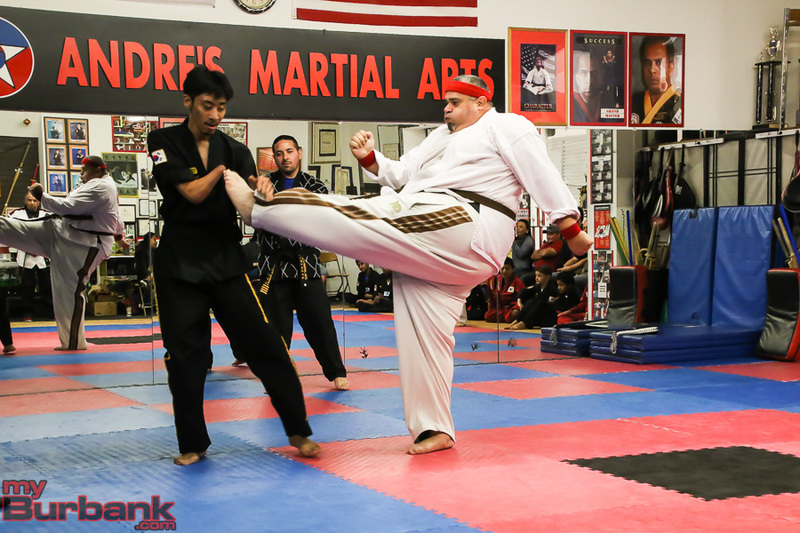 Andre’s Martial Arts have a reputation of inclusivity, encouraging families with autistic children to become involved. 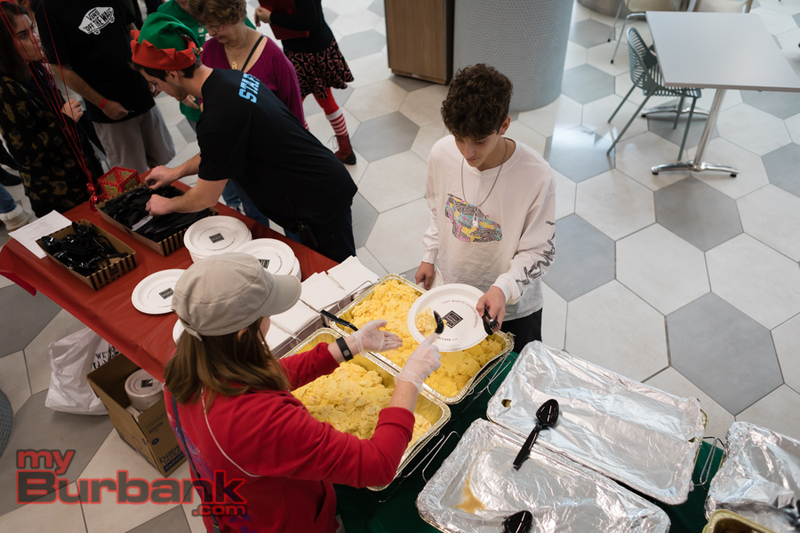 One of the parents who helped organize the Christmas party’s potluck, Lori Nishida, has a teenage son with autism who has thrived under Grandmaster Rodricks’ instruction. 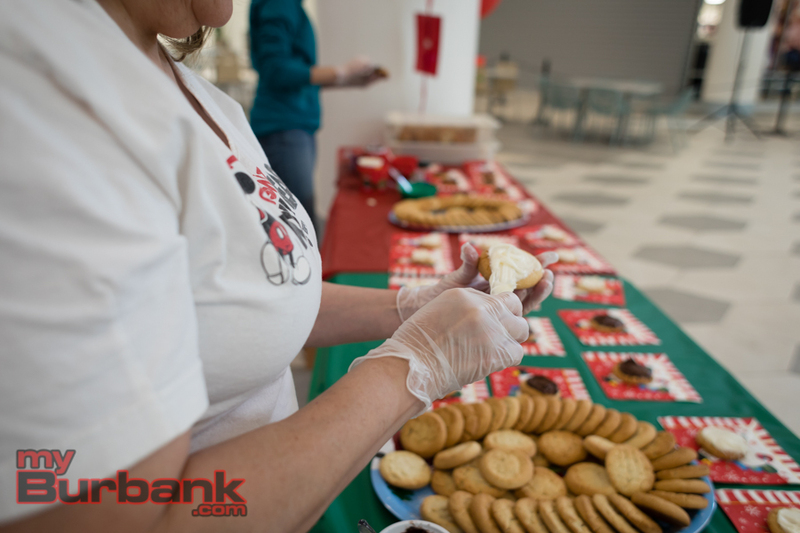 As the masters volunteer their time and do not get paid, parents thought it would be a good opportunity to come together and buy a seasonal gift to show their appreciation. Each master was given a gift card to Starbucks. 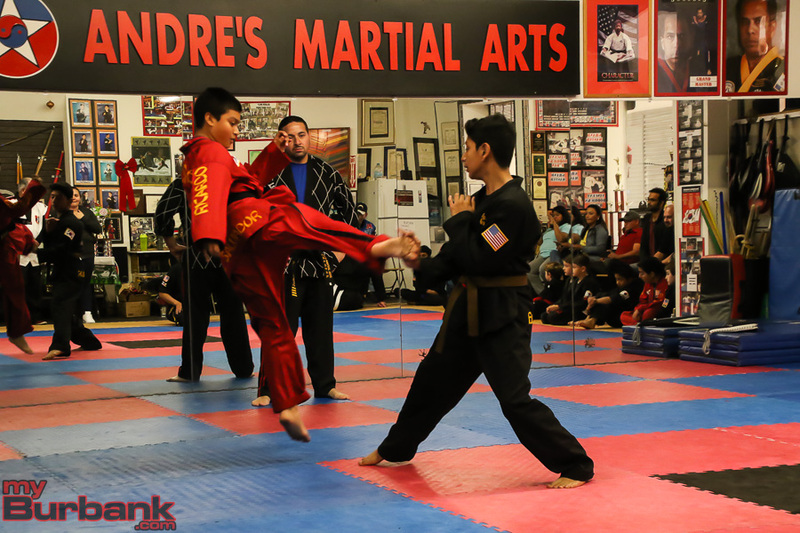 Andre’s Martial Arts is located on the first floor of the Burbank Town Center at 201 E. Magnolia Blvd., Ste. 140. 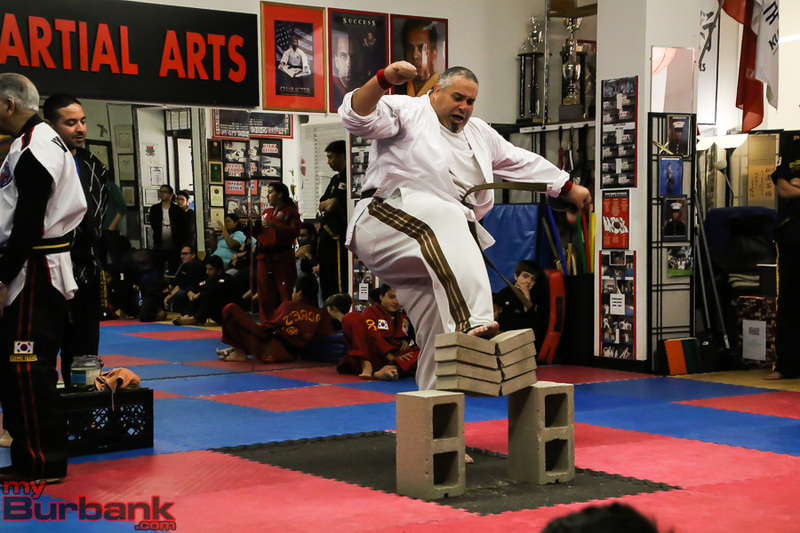 This entry was posted in City of Burbank, Events, News and tagged Andre's Martial Arts, black belt, Burbank Town Center, Christmas, community, Kids, martial arts, Mayor, parents, teenagers, toddlers on December 18, 2018 by Timothy Mably. 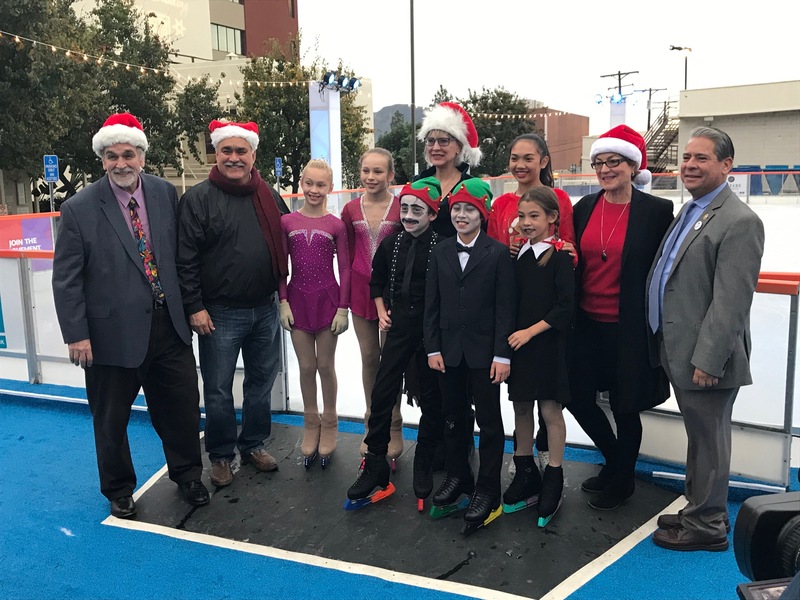 On Friday, December 14, the City of Burbank hosted a ribbon-cutting ceremony for the popular seasonal ice rink known as “The Rink,” located behind City Hall at 275 E. Olive Ave. The outdoor ice skating rink is 4,100 square-foot and can hold up to 165 skaters per session. For the next six weeks, it will be open for everyone to enjoy, with fundraising events, scheduled performances, and public skating. Mayor Emily Gabel-Luddy cut the ribbon after giving a short speech, stating that she hopes Burbank residents skate into the new year. During the ceremony, young talented figure skaters from Pickwick Ice performed on the rink, skating to songs such as Christmastime, It’s Not Christmas, Winter Dreams, and a track from The Adams Family. Among the skaters was Aubrey Ignaco who recently competed in the Pacific Coast Sectionals and won first place for the novice level. She will be advancing to compete in nationals this January. “Hopefully she’ll go from there to the Olympics. 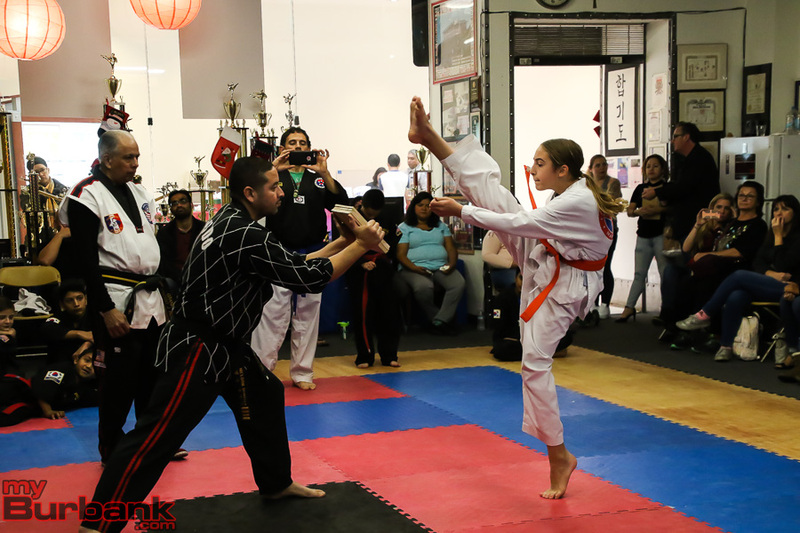 At this point she can be invited to compete internationally,” said her father proudly. Shoko Tokuda, whose son skated as a part of an “Adams Family themed” trio, is excited to return to The Rink throughout the rest of December. 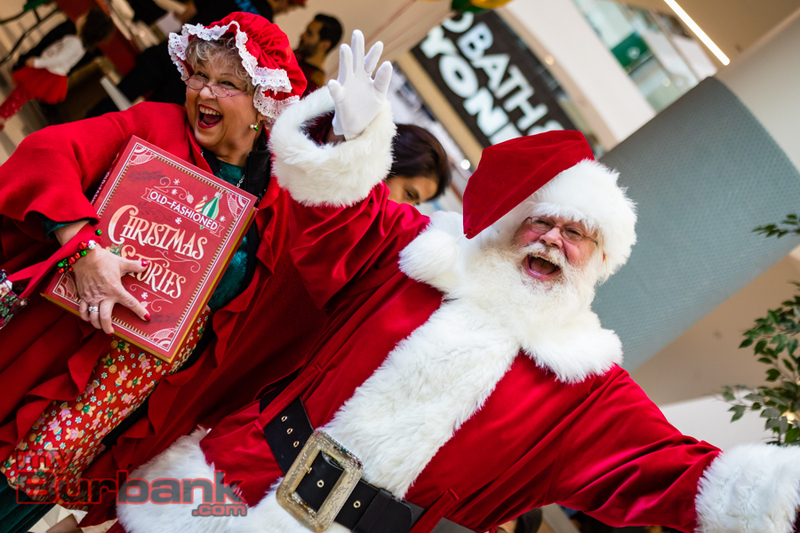 Conveniently located near the recently remodeled Burbank Town Center, locals have a festive activity to look forward to after buying presents. For interested skaters, costs include $12 unlimited skating with no re-entry. Skate rentals are also provided for $5, and skating aids are $8. The Rink is open from Monday to Friday from 10 a.m. to 10 p.m. and Friday to Saturday from 10 a.m. to 11 p.m. It will continue to stay open to the public until Sunday, January 6, 2019. 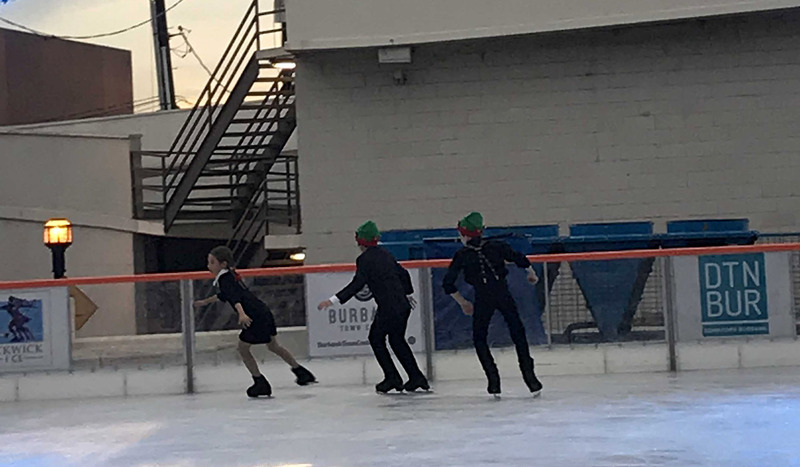 This entry was posted in City of Burbank, Entertainment, Events, News and tagged Burbank City Council, Burbank Town Center, Downtown Burbank, figure skating, holidays, Ice Rink, Ice Skating Rink, Mayor, Pickwick, Pickwick Ice, Ribbon Cutting, skating, The Rink on December 15, 2018 by Timothy Mably. 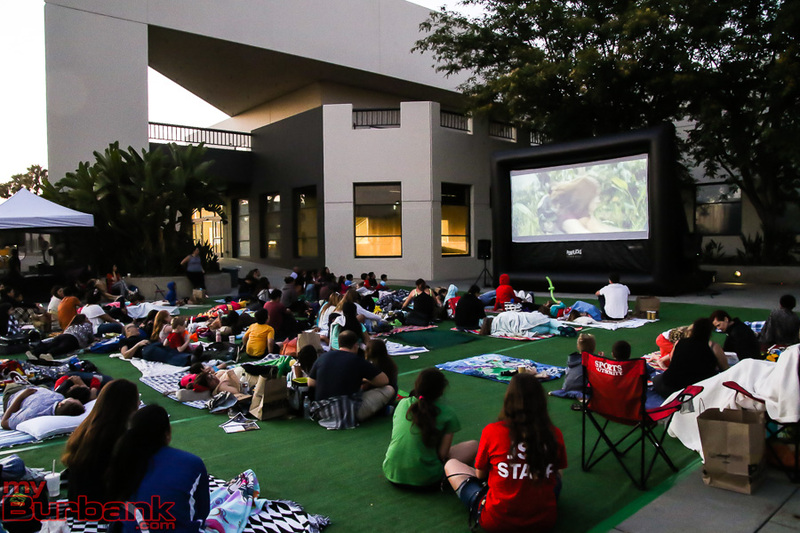 Small children darted around the crowd of parents seated on artificial grass and played next to a 10-foot juggler on stills who was also making animal balloons, while they all wait to watch the movie Jumanji on an outdoor inflatable movie screen. 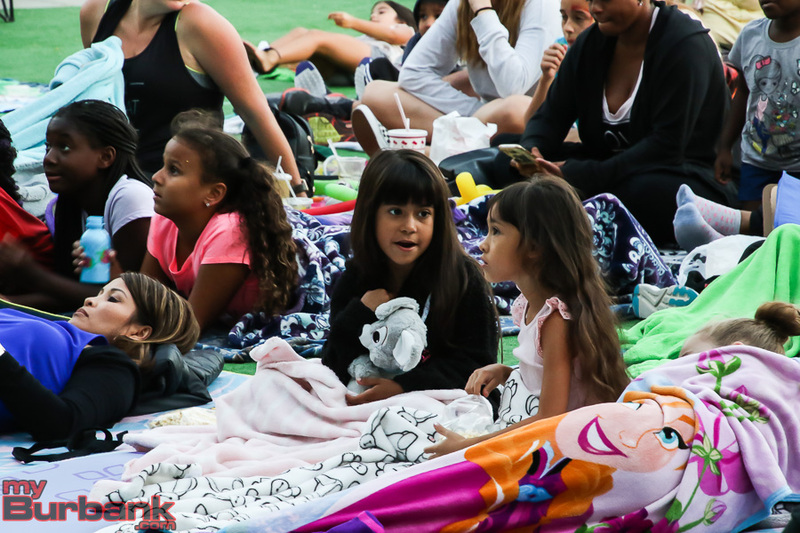 The Burbank Town Center is hosting a seven-week series, Movies Under the Stars every Thursday through the Summer. A Wrinkle in Time, Coco, and Star Wars: The Last Jedi are some of the movies that will be played. Parents enjoyed the evening out too. Robert Morris watched his kids leap and run with the other children while seated with his wife. What did his kids like the best? 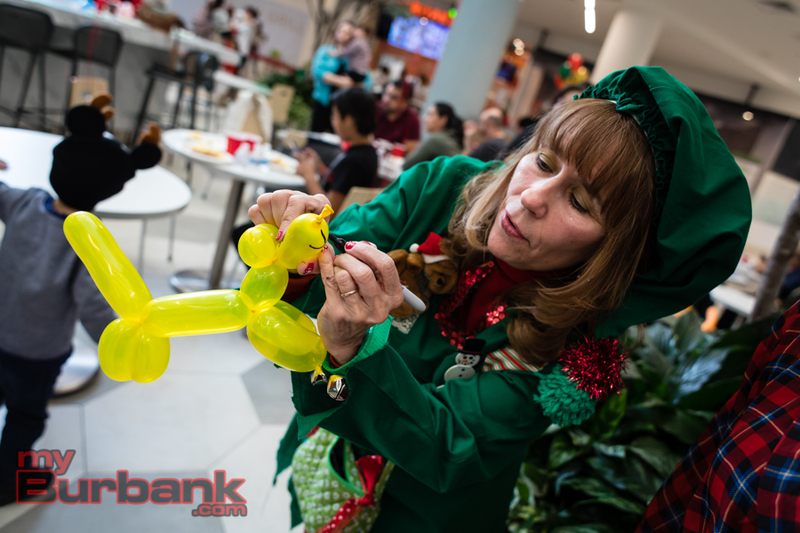 “I like the balloon animals,” said Morris’ 11year old daughter, red-haired Mackenzie. 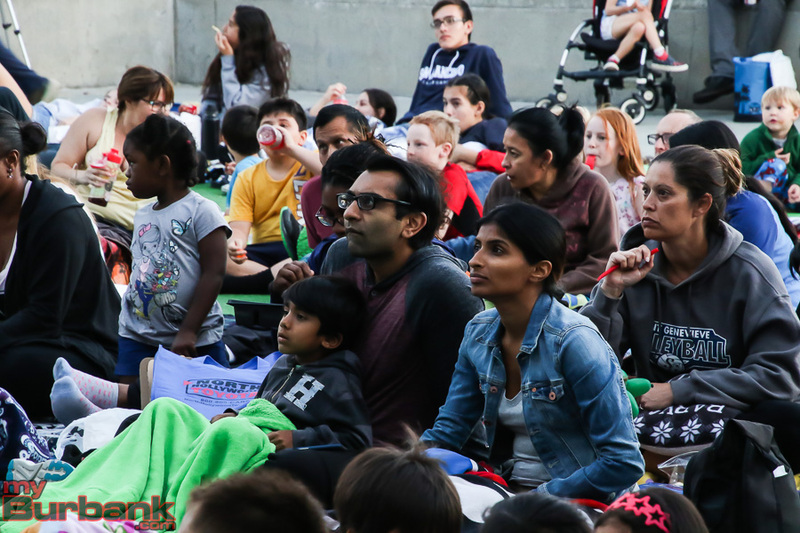 Many parents brought meals to eat before the start of the movie, and the pizza was a favorite on the menu. Candy was the young moviegoers favorite. Mackenzie voraciously ate licorice while viewing Jumanji. The film drew all ages with young parents holding babies to middle-aged parents with teenagers. 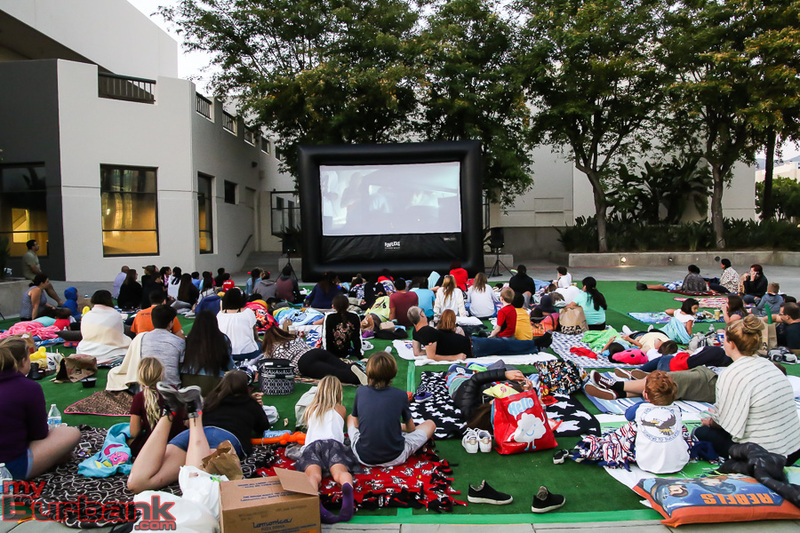 The Burbank Town Center will be exhibiting movies every Thursday from 6 p.m.-10 p.m., and the series will run until August 9th. 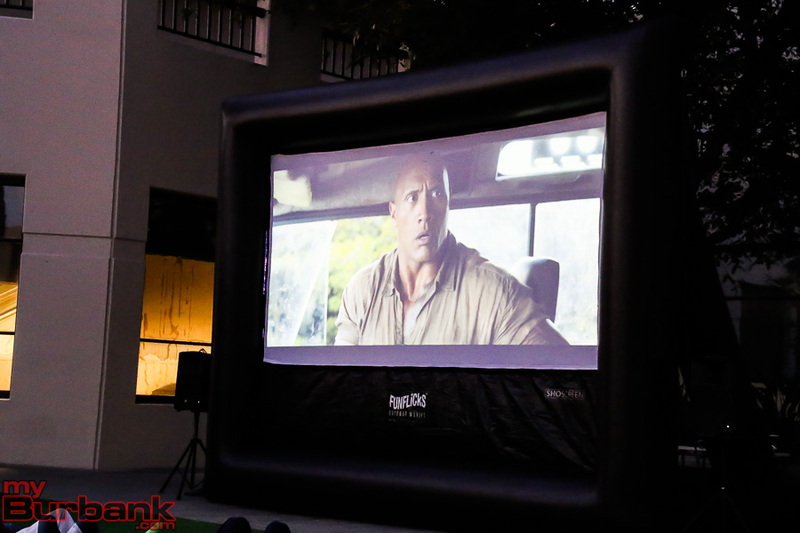 The films will be shown next to the old IKEA building across from the California Pizza Kitchen in Burbank. Parking is in the mall garage across the street from the event. This entry was posted in News and tagged Burbank Town Center on July 2, 2018 by Mickie Shaw. This year, the $60 million renovations of the Burbank Town Center which started in January 2017 will finally be complete, with new stores, a brighter atmosphere, and a revamped food court among other refurbishments. 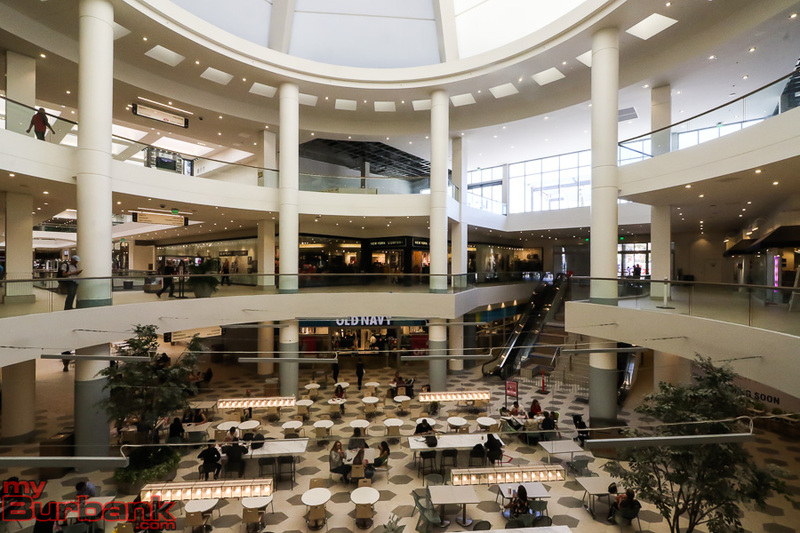 Visitors to the eighth largest mall in Los Angeles County have already noticed several new additions, including the renovated food court which has relocated from the third floor to the first floor. The modernized atmosphere has an improved seating area with USB compatible outlets and decorative lights. “The new food court has a lot more seating available. It’s very spacious and it’s a lot more open. 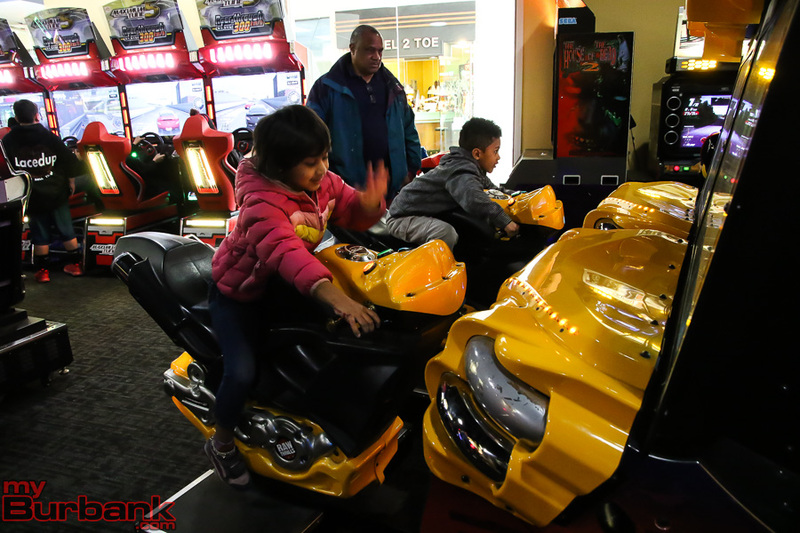 I think that’s one of the best changes they’ve made, moving the food court downstairs,“ said Atticus Bacchus, an employee of All Amusement Fun Center. 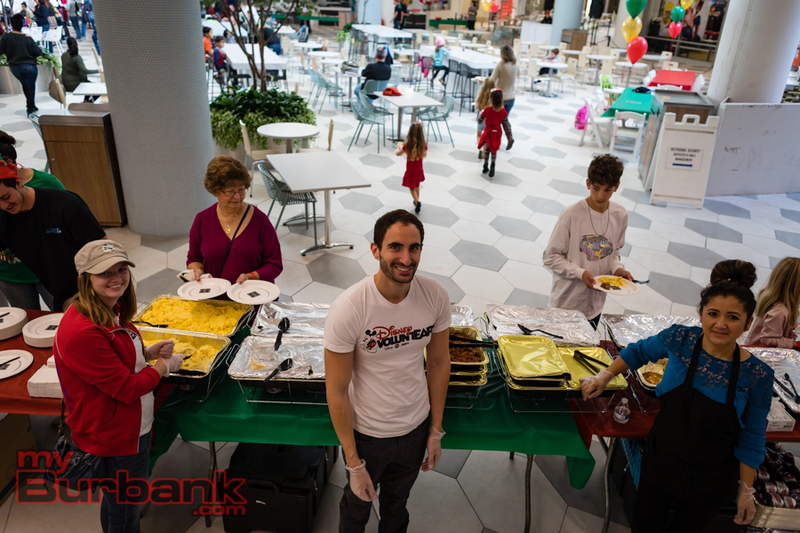 Although some restaurants have left the revitalized food court, several restaurants that were on the third level remain, such as Panda Express, Sbarro, and Mongolian Grill, which is coming soon. 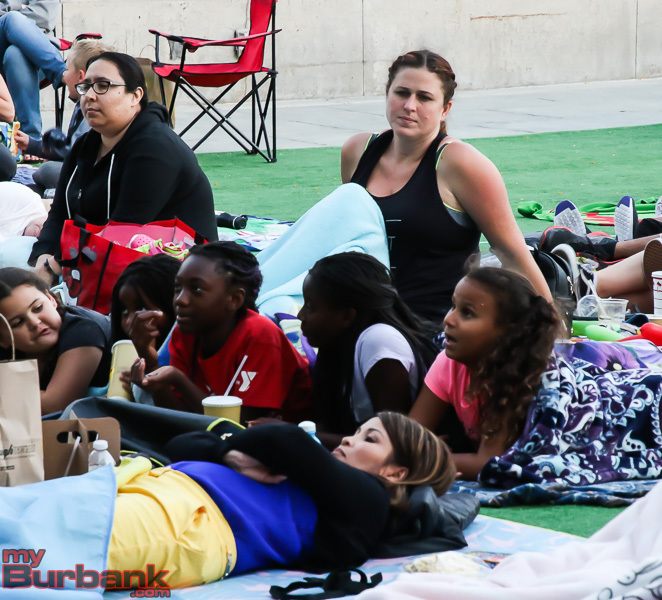 “Our goal is to introduce fresh new tenants to Burbank Town Center with an eye to making the dining terrace a go-to-place when visiting Burbank,” said Lance W. Taylor, director at CAPREF Burbank LLC, who has been overseeing the renovation of the mall. Soon, there will be an outdoor dining terrace with a view toward Verdugo and west toward the Hollywood Hills. 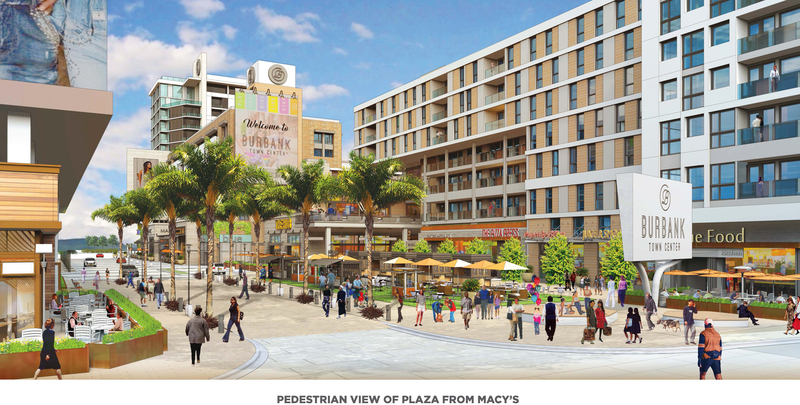 A new outdoor escalator will carry shoppers and diners to the space which faces the shops on San Fernando Blvd. Two new entrances into the Burbank Town Center have been added to the east and west parking garages, allowing better circulation throughout the mall. A grand staircase leading to an entrance into the mall has been made accessible on E. Magnolia Blvd. 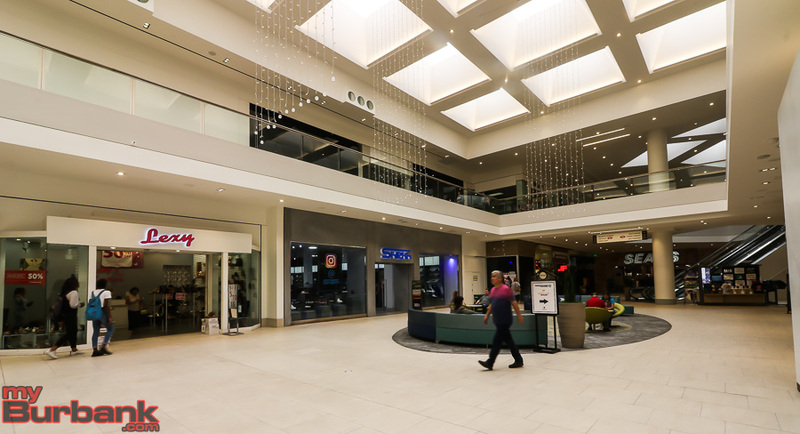 New skylights throughout the mall, along with LED lighting and new flooring, provide a more energetic and positive shopping atmosphere than before. Following AMC 8’s recent theatre remodel with reclining seats, stores such as New York & Co. and Vans have also been redesigned. Burbank Town Center is currently home to 150 retail stores and soon, Cost Plus World Market will add to that number. The 17,000 sq ft store will be located on the first floor of the mall and is said to open in June or July. 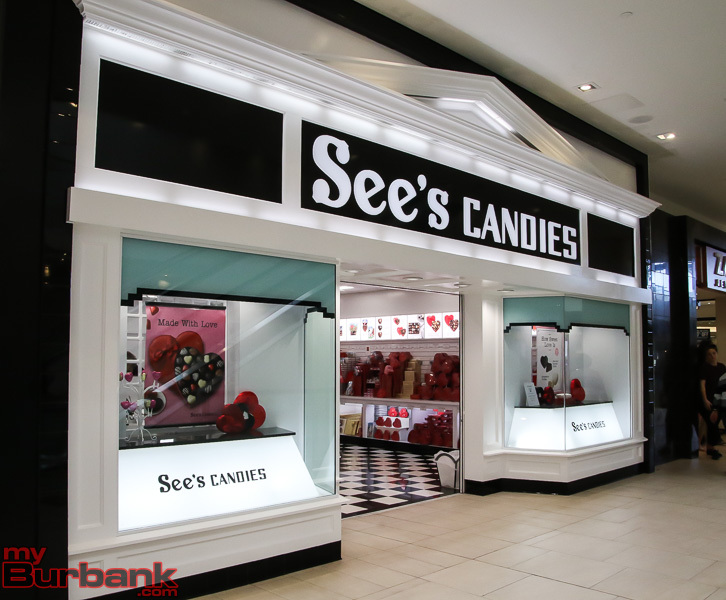 Additional changes include the relocation of See’s Candy from across the hall to provide more room for H&M, which will be located on the second and third levels. The fast fashion retailer is expected to open around summer or during the fall. In 2017, H&M was the highest ranked fashion outlet according to Forbes America’s Best Employers and made the list of “Best Companies to Work for in Fashion” for Business of Fashion. New stores such as H&M and Cost Plus will likely benefit the local economy in providing job opportunities and better shopping experiences. 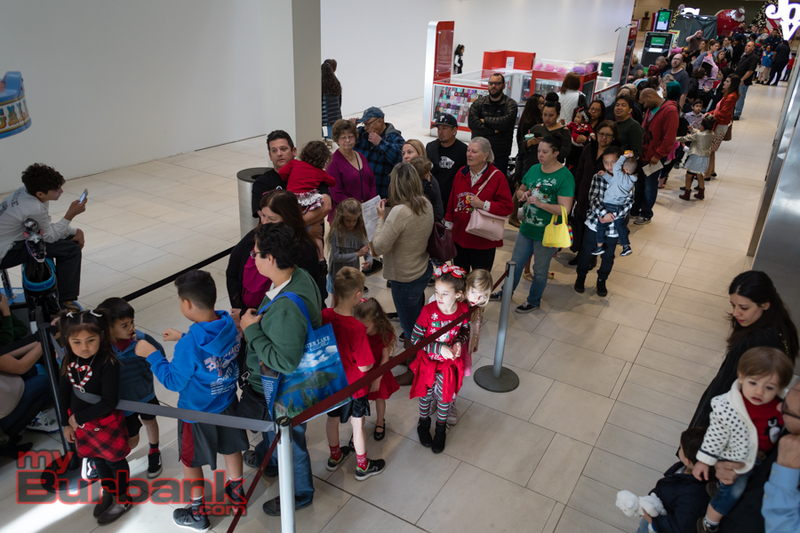 “With the $60 million mall renovation nearing completion and the addition of these new tenants, we are seeing increased activity from national and local retailers interested in calling Burbank Town Center home and we anticipate additional retailer announcements this year,” said Taylor. 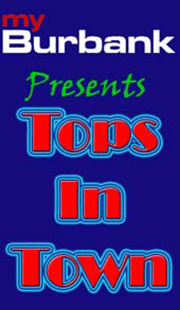 Such new additions are enticing locals who are used to doing their shopping online or in other cities. “The updates to the mall are exciting as it will bring about a much-needed change and update to the area. Many people drive to Glendale for stores like H&M and Cost Plus, so it will be great that their tax dollars will be staying here in Burbank,” said Wes Taylor, a resident of Downtown Burbank. Although many new shops are coming to the mall, several stores that have become favorites in the community remain. 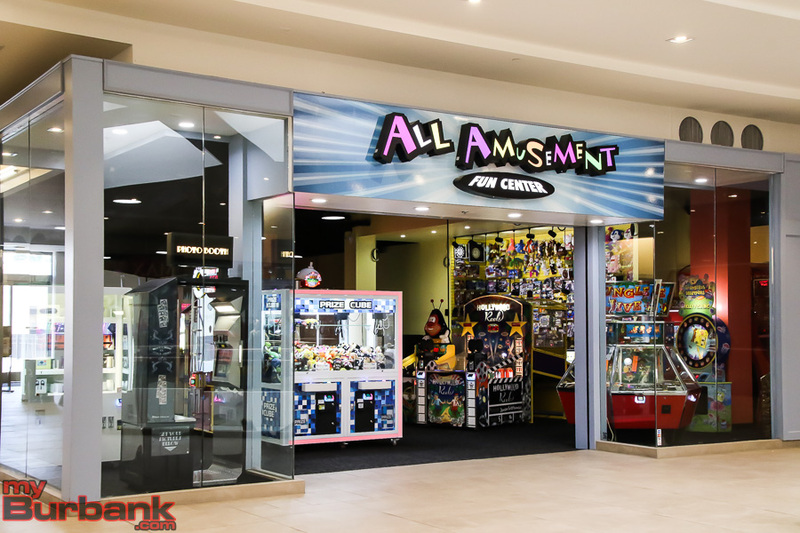 LA County’s last mall arcade, the “All Amusement Fun Center” which has been in business for 24 years, has been relocated from the first floor to the third floor after it was nearly closed in 2017. 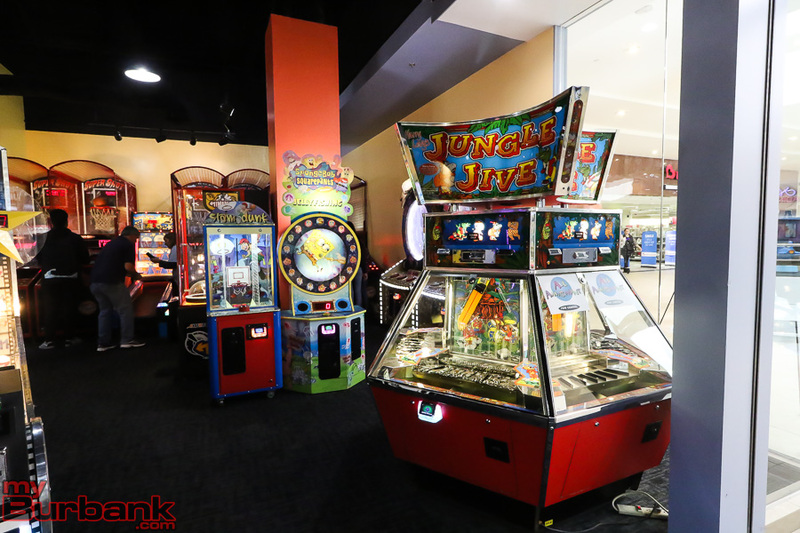 In response to community outcry, owners Jim and Susan Rowton collaborated with Lance Taylor to find a suitable new location and were able to keep the arcade open while adding several new games. 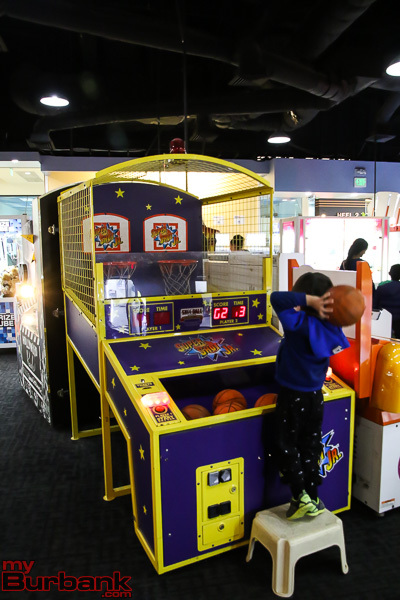 On March 3, the All Amusement Fun Center hosted a community event, allowing visitors to play games, get their faces painted, and have balloon animals made— all free of charge. New resting stations with USB compatible outlets give shoppers downtime to sit and relax between stores. 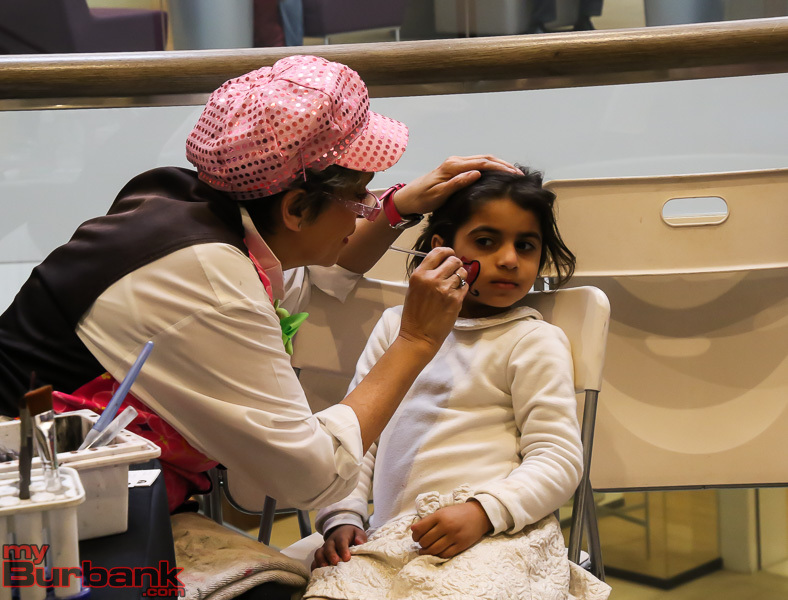 For young families, there are two new play areas which provide a chance for parents to monitor their kids as they take a break from shopping. Recently added Tesla Superchargers are located on the top of the Burbank Town Center parking garage at 495 North Third St. The station, which allows drivers to charge their cars much quicker than at home, is among the largest in the country, with 20 public-access stalls at the rate of $0.20 per kilowatt hour. 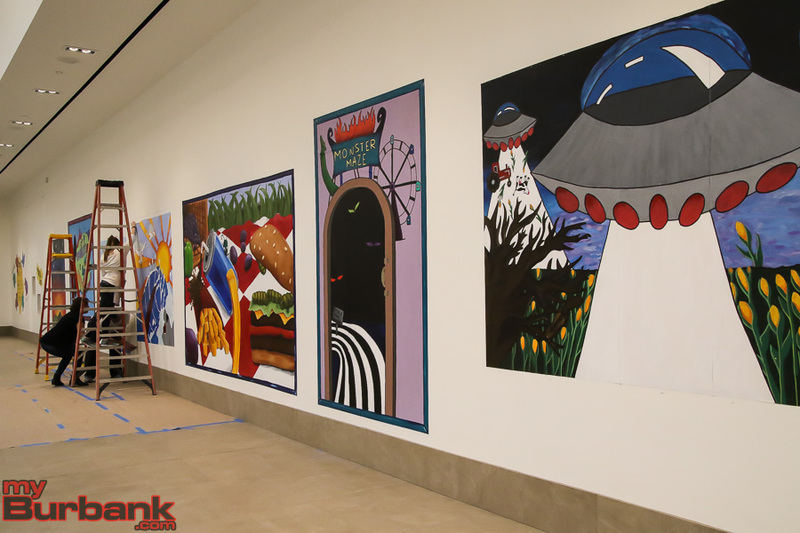 On the third level near Sears, interactive murals were recently installed by students from Burbank High, Providencia Elementary, Brett Hart Elementary, and Jordan Middle School. The murals feature illustrations encouraging shoppers to pose and take part in the images to share on social media. Burbank Town Center is located at 201 East Magnolia Blvd. This entry was posted in Entertainment, Food, Movies, News, Nightlife and tagged All Amusement Fun Center, AMC, arcade, Burbank High School, burbank hills, Burbank mall, Burbank Town Center, community, Cost Plus World Market, Downtown Burbank, Glendale Galleria, H&M, Los Angeles, Magnolia, Mongolian Grill, renovation on March 12, 2018 by Timothy Mably. 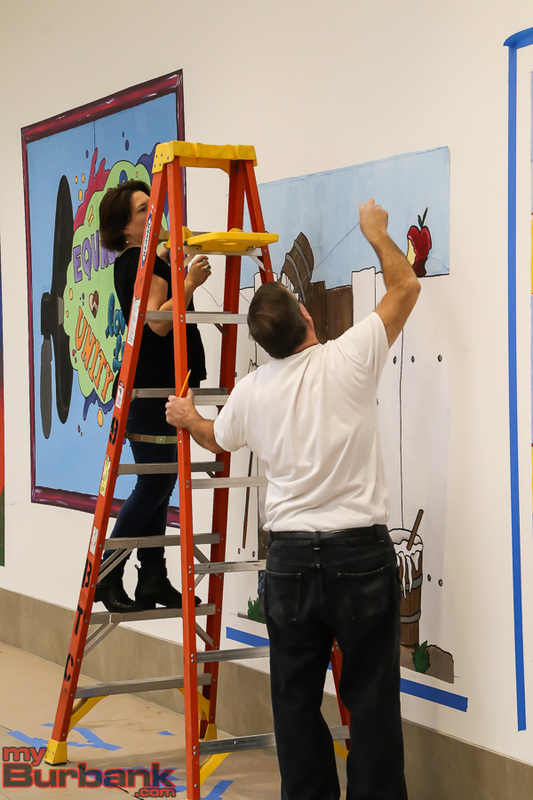 On Saturday, March 3, students from Providencia Elementary, Brett Hart Elementary, Jordan Middle School, and Burbank High School installed interactive murals on the third level of the Burbank Town Center. Art classes from schools in the district have worked together to add color to the mall as it undergoes refurbishments. 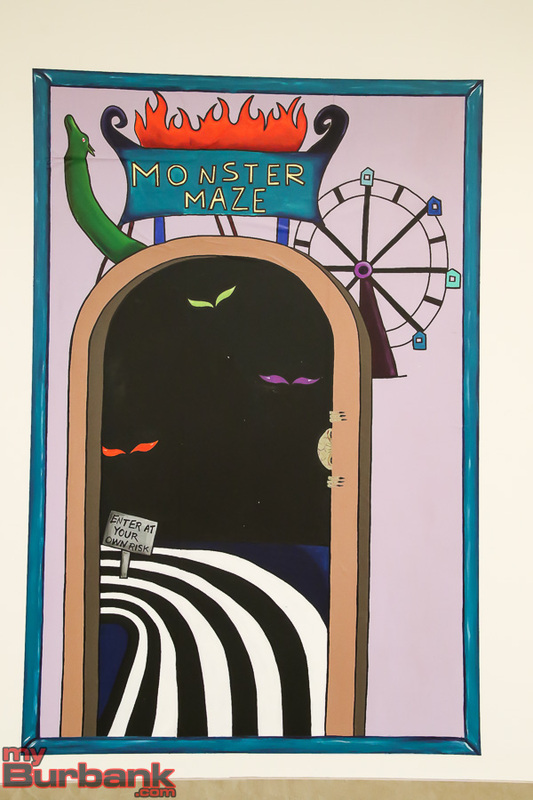 The 6 ft. x 8 ft. murals vary in themes, showcasing the artistic styles of the students. One mural depicts a political message about equality, while another depicts a flying saucer hovering over a cornfield. 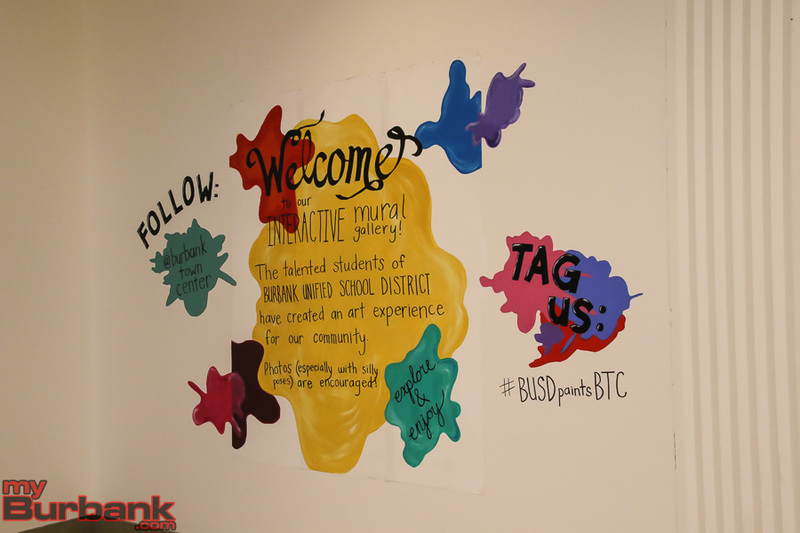 Shoppers are encouraged to take part in the interactive murals and post to social media, tagging #BUSDpaintsBTC. Students and teachers alike invested a lot of their time in creating the murals, totaling about a month between the design and painting process. 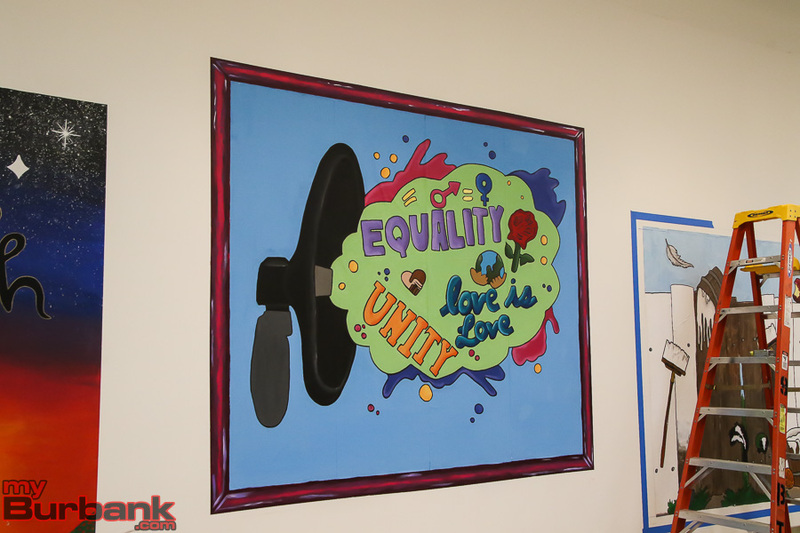 “My students submitted design concepts and then we voted on them and we refined them until we got to the one we wanted to work on for the wall,” said Burbank High School visual and performing arts teacher, Jonelle Pickett. Pickett’s advanced animation class collaborated on a 3D mural depicting a picnic with soda, fries, and a hamburger. CJ Jobelle, a junior, is one of the students who worked on the assignment. 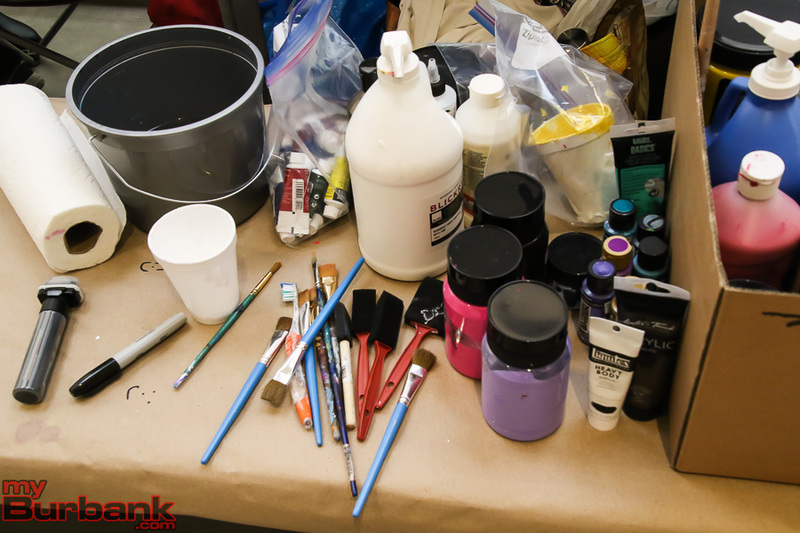 “The overall painting took about three weeks, roughly around that. People were taking turns to paint it,” said Jobelle. Visitors can attribute the murals to the individual classes who created them, as the school names and grade levels are provided next to each illustration. 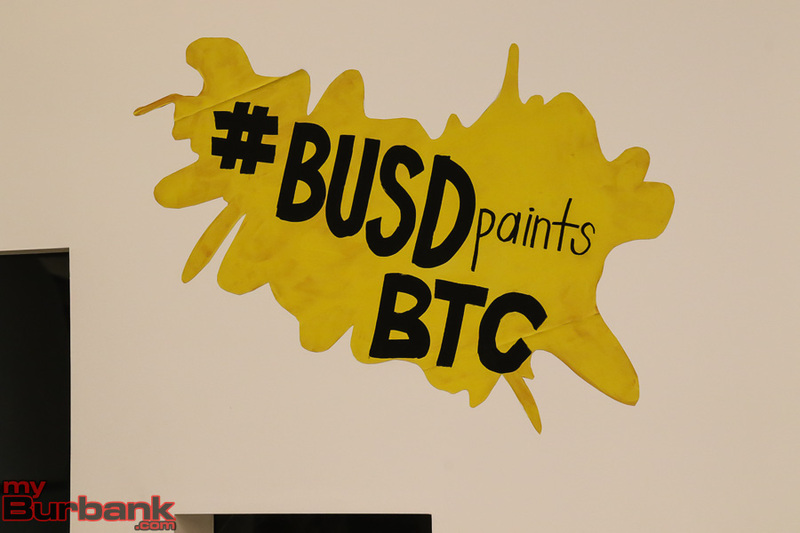 “It’s really exciting that under Rebecca’s leadership we were able to get several schools and artists representing their talents to get visual arts into the community,” said Peggy Flynn, arts and career technical education coordinator for BUSD. Eventually, the wall will come down once space is rented out. Until then, visitors of the Burbank Town Center can admire the creative work of the next generation. This entry was posted in Burbank High, Elementary, High School, Middle School, News, Schools and tagged Art, Brett Hart Elementary, Burbank High School, Burbank mall, Burbank Town Center, illustration, interactive mural, Jordan Middle School, mural, Providencia Elementary, Rebecca Platner on March 11, 2018 by Timothy Mably. 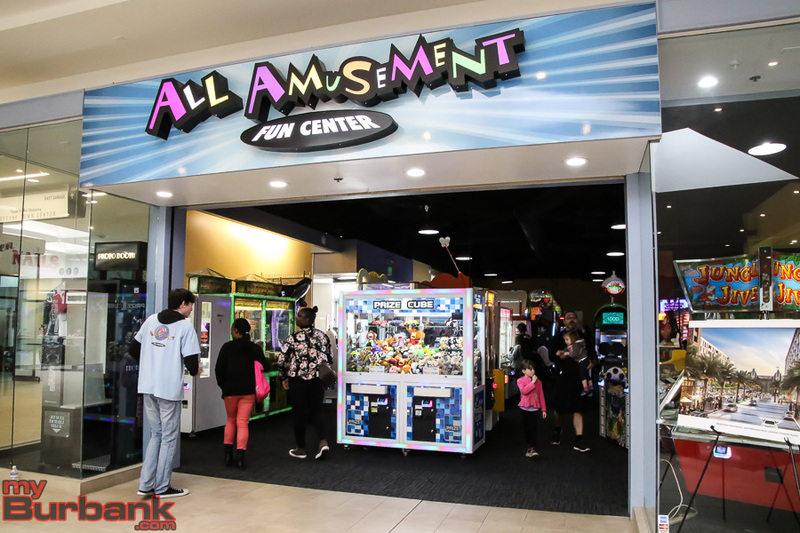 On Saturday, March 3, the All Amusement Fun Center at Burbank Town Center hosted an event from 11 a.m. to 2 p.m. allowing visitors to get their face painted, request balloon animals, and play an unlimited amount of arcade games— all free of charge. After 24 years, owners Jim and Susan Rowton are thankful for the continued influx of customers, especially since the arcade was nearly closed last year in light of the mall’s refurbishments. 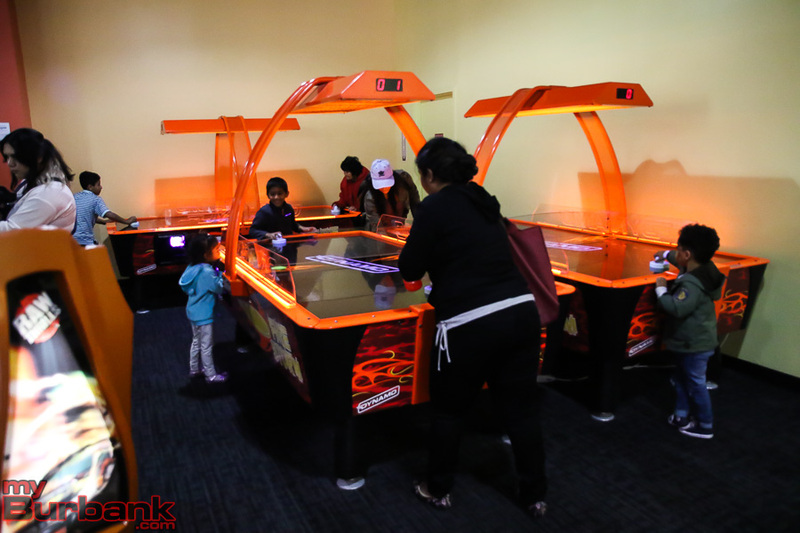 Relocated from the first floor to the third floor, the All Amusement Fun Center has taken on a brighter energy and a more inviting ambiance. 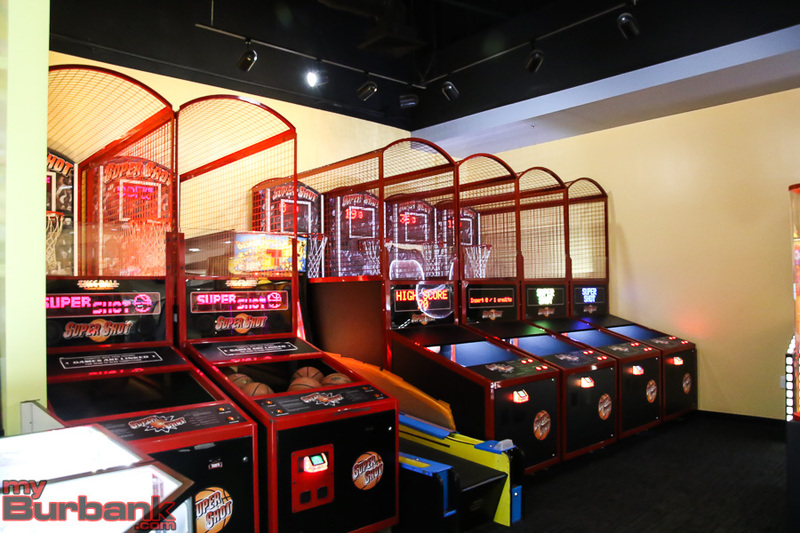 While many of the arcade’s games come from the previous location, half of the games are brand new. Recent additions include claw machine games, which allow patrons to play until they win a stuffed animal. 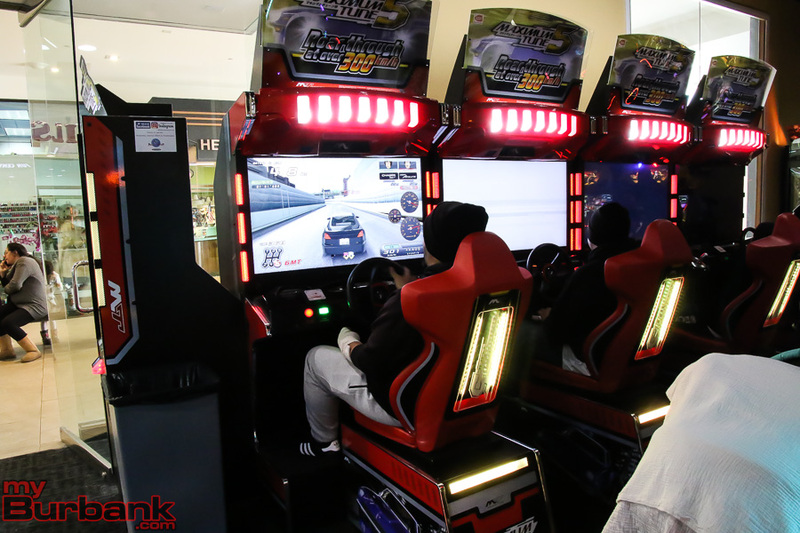 Among the arcade’s most popular games, racing games linked online allow patrons to compete against other gamers across the world. Rowton also recognizes the arcade as an opportunity to show hospitality to the disabled and mentally impaired. 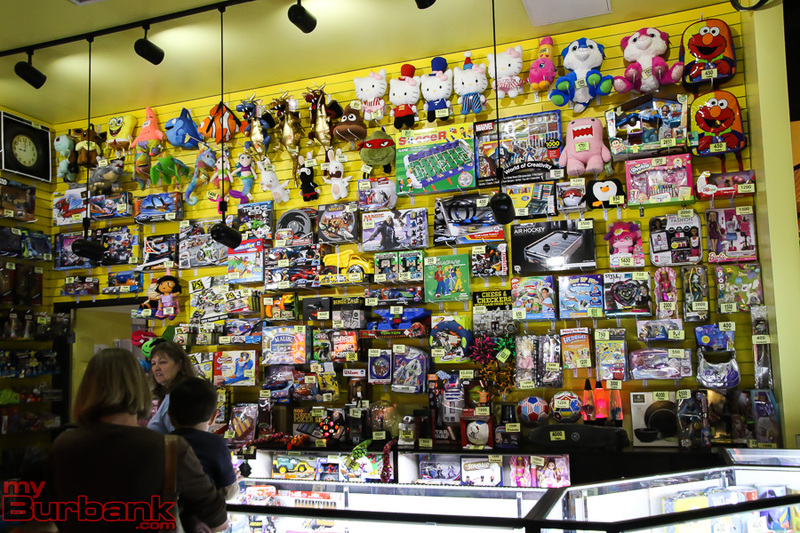 While some arcades might showcase lackluster prizes for patrons saving up their tickets, Rowton has worked hard to stock the best quality prizes for customers. From stuffed animals to Star Wars themed wallets among other items, the display case has something of interest for gamers of all ages. “One of the things we’re most proud about is our merchandise. 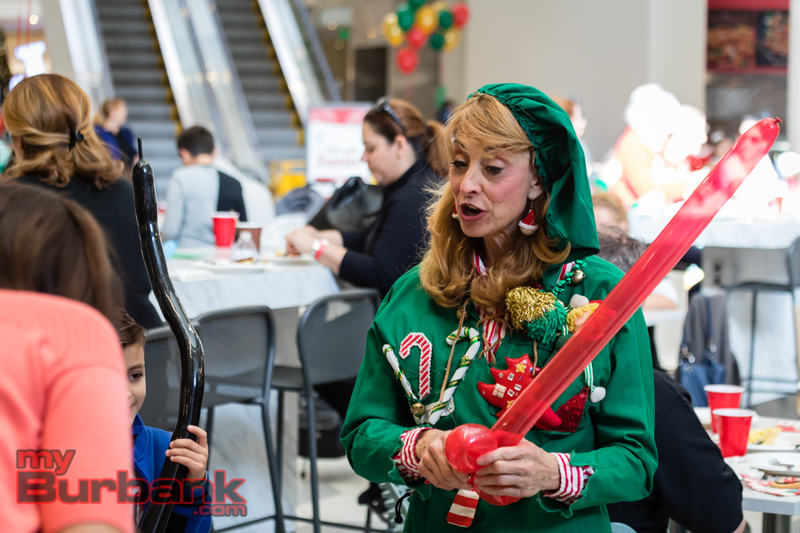 We work hard to shop for the community and be astute and expert buyers so we can put prizes out there that people can win easily,” said Rowton. 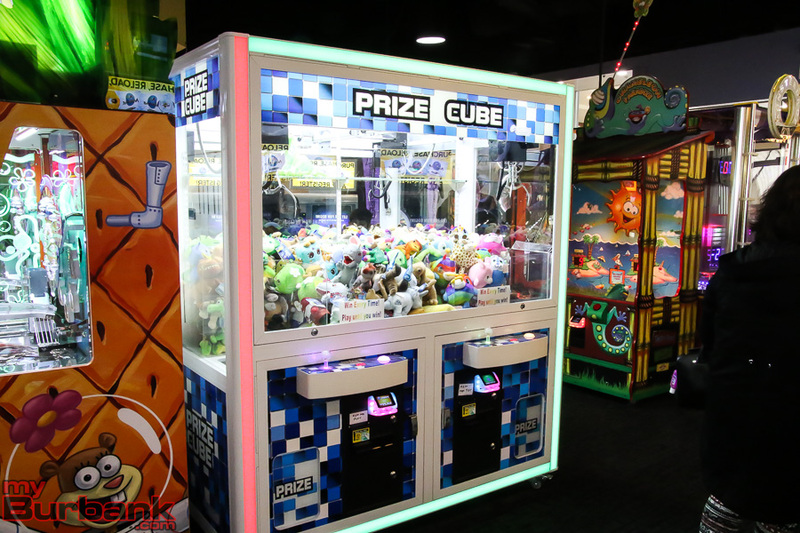 If a gamer is a few tickets short of the cost of a prize, a claw machine gives them the chance to win 30 to a thousand tickets to meet their goal. 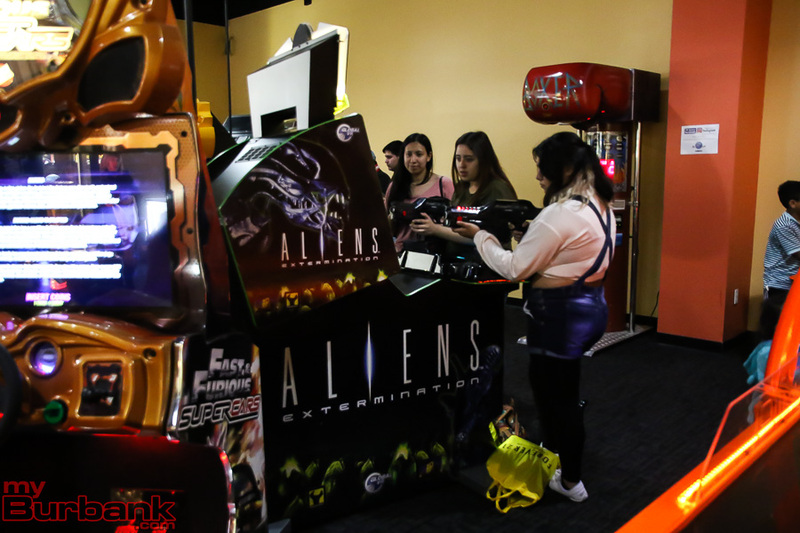 When Los Angeles County’s last mall arcade nearly closed in 2017, the community spoke up and made it known that Rowton’s business holds a special place in their lives. 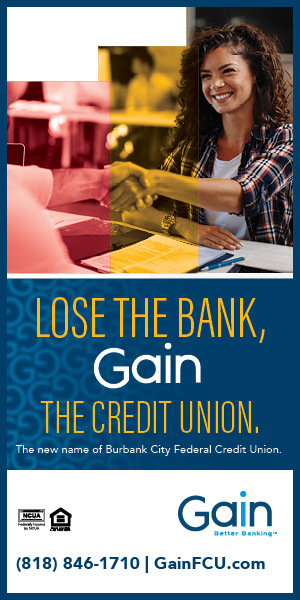 With the help of Lance W. Taylor, director at CAPREF Burbank LLC, who has been overseeing the renovation of the Burbank Town Center, the arcade’s closure was avoided. Instead, the Rowtons collaborated with Taylor so that the All Amusement Fun Center would be relocated and refurbished. 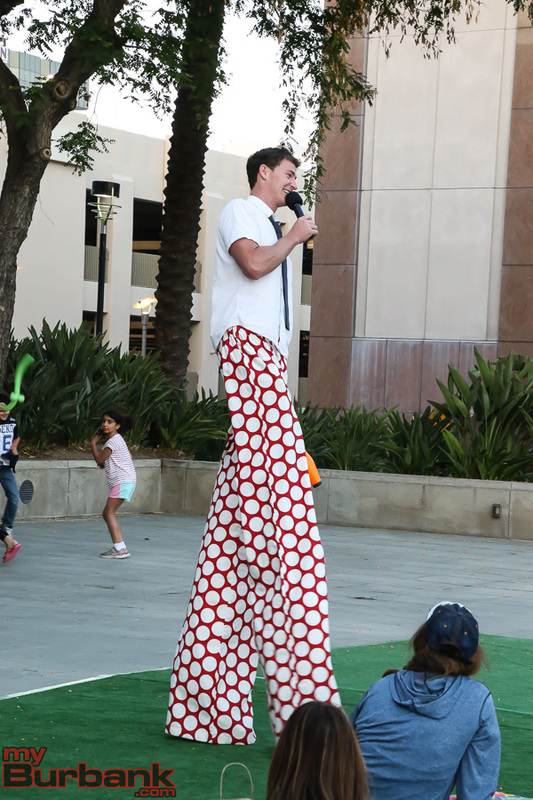 “Special marketing events like this one, with a generational tenant like All Amusement, help connect the community with our tenants, and give them a reason to visit the new Burbank Town Center. We hope their experience gives them a new perspective and makes them want to come back to both All Amusement and the mall,” said Taylor. This entry was posted in Entertainment, Events, News and tagged All Amusement Fun Center, arcade, BTC, Burbank Town Center, Downtown Burbank, Entertainment, Family, games on March 6, 2018 by Timothy Mably. 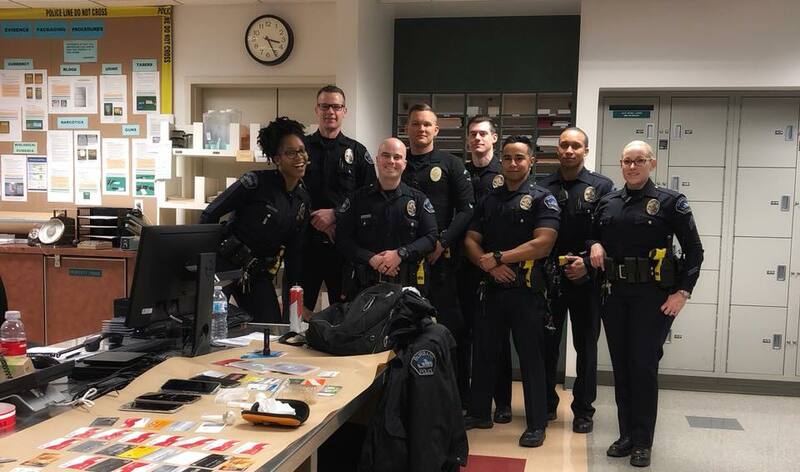 On the night of Saturday, February 24, the Burbank Police graveyard team discovered a stolen vehicle on San Fernando Rd. across from the Burbank Town Center. money, credit card scanners, and narcotics. 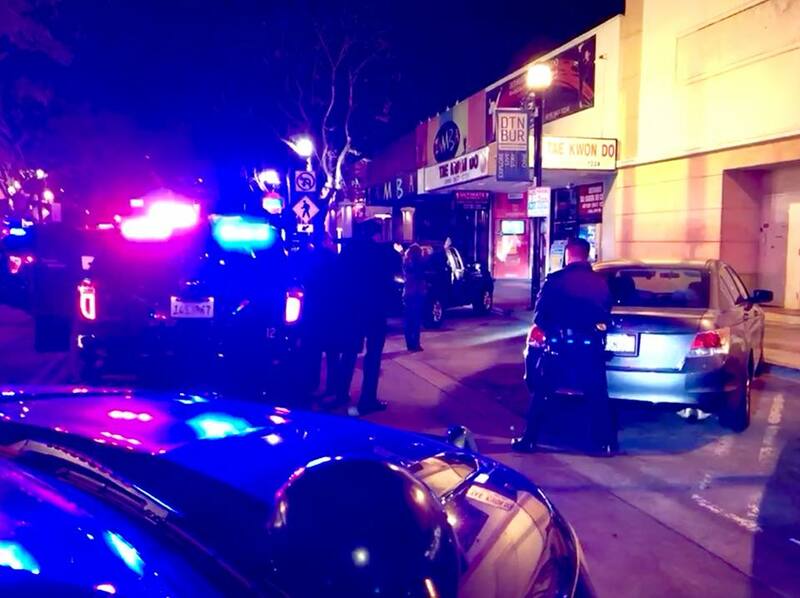 Police arrested both occupants of the vehicle, one male, and one female. 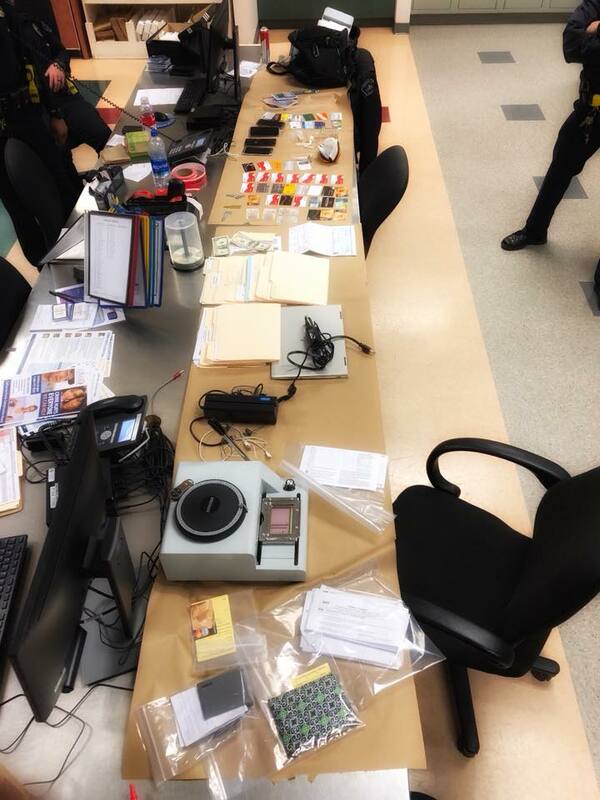 This is the second arrest made this week related to narcotics and fraud. However, it seems to be unrelated to the incident which occurred on February 22. Neither of the suspects’ identities has been released. 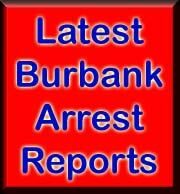 The Information gathered for this story has been supplied by Burbank Police Department’s Social Media accounts. This entry was posted in Arrest Reports, Crime Report, News, Police and Fire and tagged arrest, BPD, Burbank Police, Burbank Town Center, car jacker, car jacking, counterfeit money, credit card scanner, credit cards, Downtown Burbank, drugs, fraud, IDs, key, mail, narcotics, robber, San Fernando Road, stollen car, thief, Vehicle on February 26, 2018 by Timothy Mably. 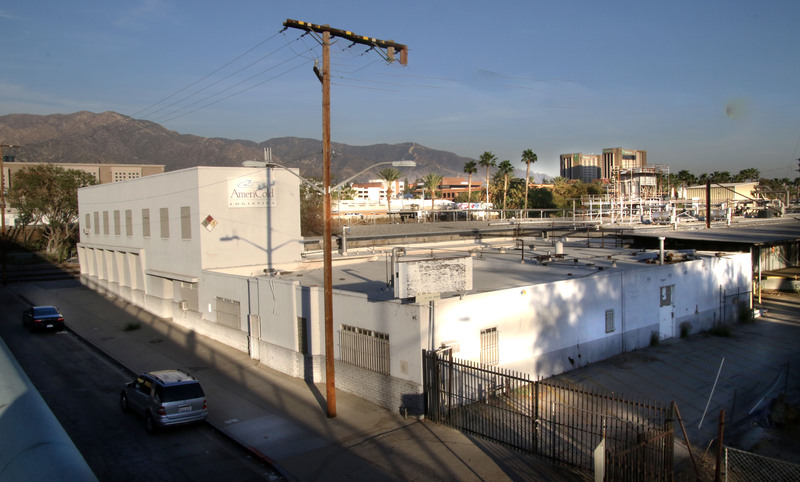 Located adjacent to the downtown Burbank Metrolink station, the project will involve the demolition of a 70,000 square-feet storage warehouse to be replaced with a restaurant, a craft beer pub, a roller derby rink, and possibly food carts. Space will be reduced to 33,000 square-feet to provide an outdoor recreation area. It is currently unknown how many restaurants the 2.4-acre site will include. Burbank Common will utilize the 471 parking spaces located near the Metrolink station. Although more than half of the spaces are used by those riding the Metro during the day, it is hoped there will be enough room to accommodate customers in the evening. 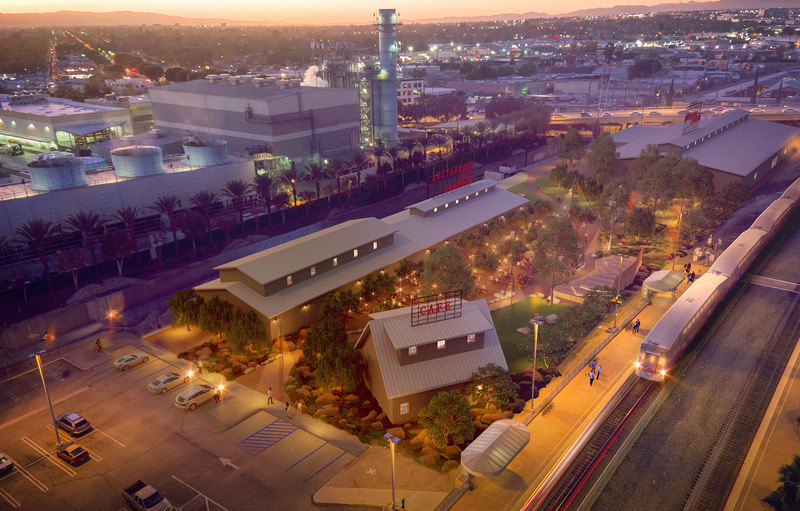 “For intermittent larger events that will occur one to two times per month, it is anticipated that parking can be provided offsite in existing parking facilities in Downtown Burbank and a shuttle system could be employed to shuttle attendees to and from events,” said Ross Young, a project manager for Burbank. To ensure that the Metrolink parking will not be overwhelmed, a “full parking study” will be conducted during the environmental review process. 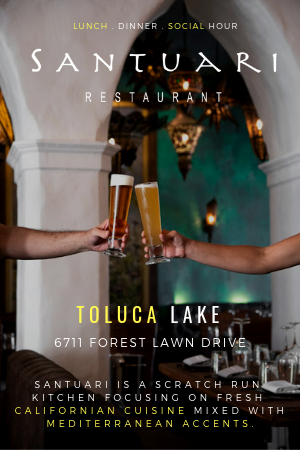 Although the city will retain ownership of the property, Yanow will operate Burbank Common with his restaurant group, the Artisanal Brewers Collective. “His company has the resources and experience to independently build and operate the facility and they are proposing to incorporate features that would provide significant community-wide benefits,” said Young. In 2008, the city attempted to demolish the same warehouse but could not receive support from City Council due to the high cost. The warehouse which was formally owned by AmeriCold has six-feet thick cement walls that make it difficult to demolish. From 2011 to 2016, the property was controlled by a different redevelopment agency. “From a fiscal standpoint, the project would facilitate over $10 million in private sector investment, while creating jobs, boosting tourism, and increasing the City’s tax base,” said Young. 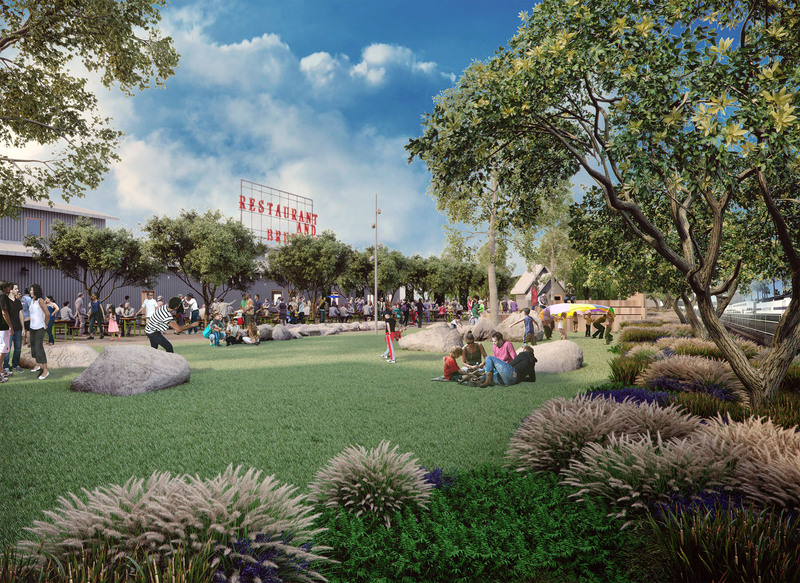 Burbank Common is currently going through its environmental analysis and “community outreach phase.” The project is expected to be presented to the Burbank Planning Board and City Council before September. This entry was posted in City of Burbank, News, Nightlife and tagged beer, Burbank Town Center, City Council, dining, golden road brewery, mall, Metrolink, Restaurant, Ross Young, Tony Yanow, Tony's Darts Away, Train on February 13, 2018 by Timothy Mably. 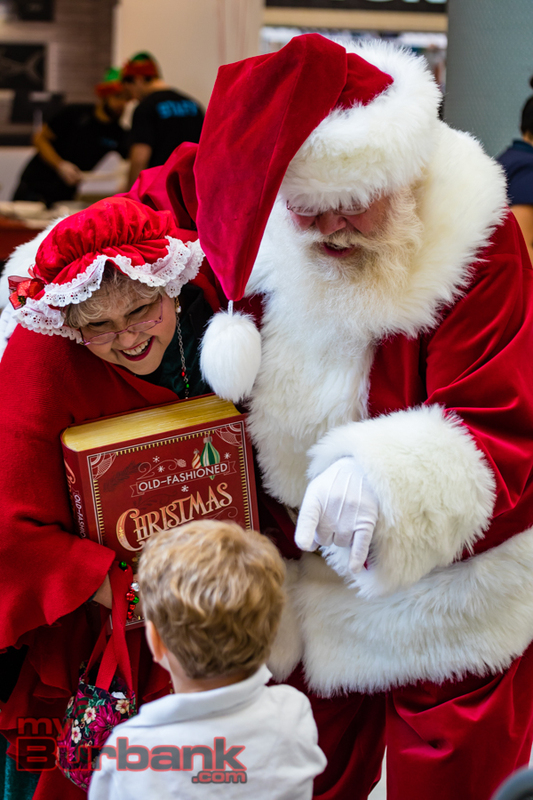 Santa with the help of volunteers from Burbank Parks & Recreation stopped by the Burbank Town Center for a long tradition of Breakfast with Santa. 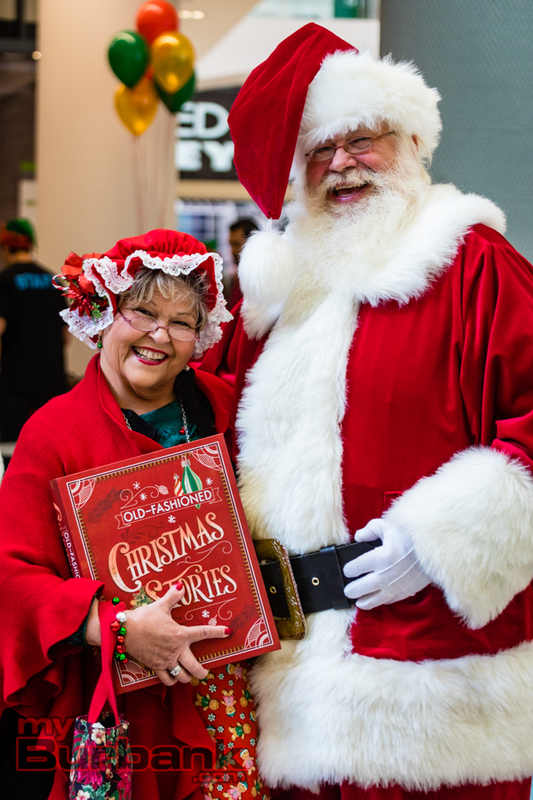 Santa was joined by Mrs. Claus and read stories to the kids in attendance. 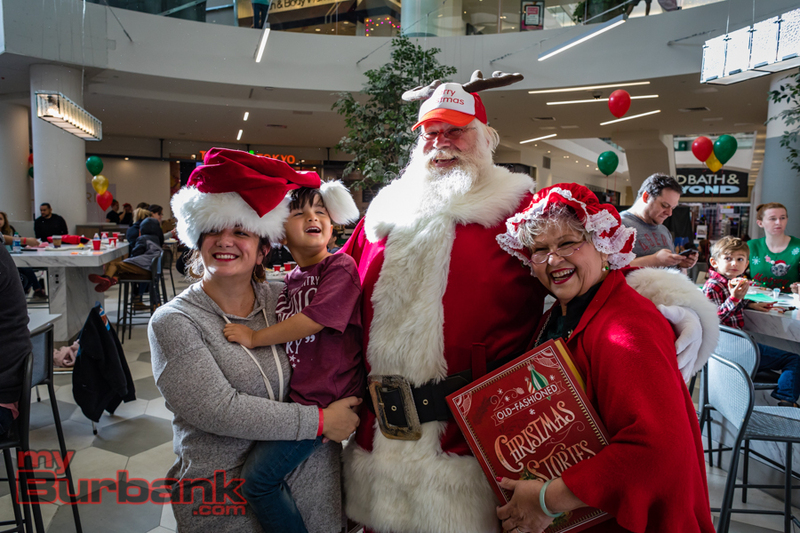 This entry was posted in City of Burbank, Events, News and tagged Burbank Town Center, Santa has Breakfast at Burbank Town Center on December 10, 2017 by Edward Tovmassian. The City of Burbank has initiated the environmental review process for the Burbank Town Center Project by releasing the Notice of Preparation (NOP). This is the City’s first step towards preparing the project’s Draft Environmental Impact Report (EIR). As a part of that process, the City will be holding a community and EIR scoping meeting to discuss the proposed project and gather input on the scope of the Draft EIR on Wednesday, December 13, 6-8:30 p.m. in the former IKEA store at 600 N. San Fernando Blvd. The community meeting which will include a presentation about the project will take place from 6-7 p.m. Immediately following will be the EIR scoping segment of the meeting, which will take place from 7:30-8:30 p.m., where community members will have the opportunity to comment on the Draft EIR’s scope. Based on input from community members, the project revisions to date have focused on improved pedestrian connections and additional publicly accessible open space. The Notice of Preparation (NOP) is available for review on the City’s website at: http://www.burbankca.gov/departments/community-development/planning/current-planning/burbank-town-center. The public review and comment period for the NOP will continue through Friday, January 5, 2018. Comments on the NOP can be emailed to Community Development Department’s Planning Division staff at: mporto@burbankca.gov or mailed to City of Burbank, Planning Division, Attention: Mike Porto, 150 North Third St., Burbank, CA 91502-1264. 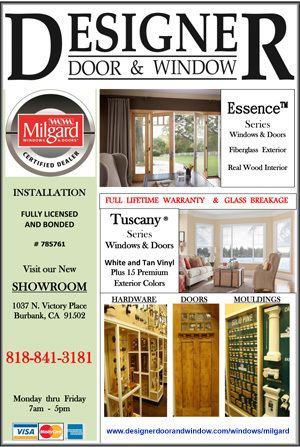 For more information about the project and the environmental review process, call the project planner, Mike Porto at (818) 238-5250. Additional opportunities for public review and comment will be available after the Draft EIR has been released for public review. This entry was posted in City of Burbank, Events, News and tagged Burbank Town Center, City Scoping Meeting on December 9, 2017 by Staff.